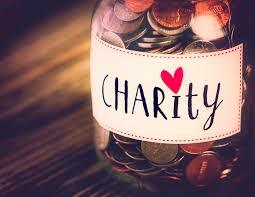 Charity is about giving your time and money to a cause that you feel an affinity with. You may wish to go an extra mile by making some sort of personal sacrifice but it should not be a substitute for a public service. The reported story about five teachers at a London primary school taking a £7,000 pay cut to save the jobs of two classroom assistants isn’t what charity should be about. It’s not even the Big Society at play. It is about five school teachers realising the importance of education and making big personal sacrifices for the greater good. It’s the high order of the principle of Utilitarianism. It’s the failure of the state to provide basic care for our children and not caring about the consequences. Even if it turns out that the five school teachers were able to afford their pay cuts it still does not negate or limit the greatness of their actions. Charity ought to supplement basic welfare provisions, not fill in the gaps. The right to a good education is a welfare state provision.